The South African national orders was one of the areas that needed change with the birth of the new democratic South Africa. They are the highest awards that the President of South Africa can bestow on its citizens and eminent foreign nationals. In this the President is assisted by the director-general in the Presidency, who is the chancellor of national orders. South Africa's new national orders, first awarded by President Thabo Mbeki in 2002, reflect the inclusiveness and diversity of a democratic South Africa, our people and our place in the African continent and in essence, the spirit of the new South Africa. 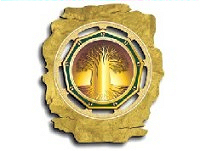 is awarded for excellence and exceptional achievement and represents ingenuity and excellence. 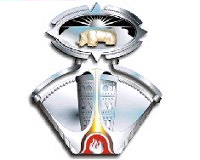 It is awarded to South African citizens in three classes: platinum, gold and bronze. is awarded to South African citizens for distinguished service in business and the economy; science, medicine, technological innovation; and community service, representing exceptional contribution. 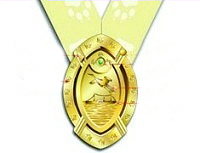 It is awarded in three classes: gold, silver and bronze. 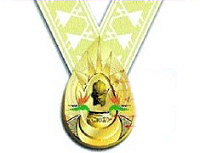 is awarded to heads of state and other dignitaries for promoting peace, cooperation and friendship towards South Africa. 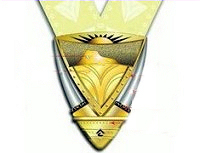 The Order is awarded in three classes: gold, silver and bronze. is awarded to South Africans who have made a meaningful contribution to the struggle for democracy, human rights, nation-building, justice and peace, and conflict resolution. The Order is awarded in three classes: gold, silver and bronze. is awarded to South African citizens who have excelled in the fields of arts, culture, literature, music, journalism and sport. The Order is awarded in three classes: gold, silver and bronze. is awarded to South African citizens who have performed an extraordinary act of bravery that placed their lives in great danger. The Order is awarded in three classes: gold, silver and bronze.